Rave Reviews Book Club “Springtime Book and Block Party! – Welcome to the World of Suzanne Burke. Rave Reviews Book Club “Springtime Book and Block Party! Welcome to my blog on this wonderful Rave Reviews Book Club ‘Springtime’ Book and Blog Block party tour! Coming to you today from my latest location; the beautiful rural township of Bathurst, in New South Wales: Australia. Please leave a comment below today, April 21st, to be entered in the drawing to win one of these prizes! 1 (Ebook copy) of “Acts Beyond Redemption” (Unintended Consequences) Book 1 #Thriller #Suspense. 1 (Ebook copy) of “Acts Of Betrayal” (Unintended Consequences) Book 2. #Thriller #Suspense. Total Prizes I’m gifting today = 4. Lets’ dress my little monster for the party … and we’ll make it formal, shall we? Ah, yes of course, we need a stunning location. What better setting than this ballroom? The occasion? The highly publicized Charity event of the season …The ‘Governors’ Black and White Ball’. Thrown with his accustomed panache by New York Governor (And Presidential Candidate) Damon Henderson. Sheila Harrington is as always his date. Sheila is tall for a woman, and the elegant Jimmi Choo shoes boost her height to just over six feet. She is both beautiful … and deadly. She adds more than just a mans’ heart to her little bag of collectables … she evicerates his spirit, and destroys his soul without hesitation, or remorse. Love her or loathe her? Now that is the question. Whatever the decision, you may not forget her in a hurry. Now relax, kick your shoes off, and listen in to an (imaginary) conversation between the beautiful Sheila and her unseen ‘guest’… Let me see, what shall we name him? Ah, yes … Mr D Evil, will do nicely. “You look bored, Mon bebe.” The voice was husky, inviting, deeply-timbered. Sheila shivered delightedly, then smiled. ” To what do I owe the pleasure of your company?” She whispered. Her companion settled back, smiling contentedly to himself. Sheila missed the comment, already walking slowly across the crowded room, and as always parting the crowd in her wake. The women not graced with beauty of their own gazed at her retreating back with envy, the men, with unbridled lust. She approached, glancing at the handsome, disinterested face; then shuddered briefly as his gaze met her own. She stood next to him now, still silent, sipping her cocktail and observing the room. She waited for longer than most would find comfortable, before, finally, he spoke. His reaction pleased her, for only the momentary dilation of his pupils gave any indication that her remark had even been heard. “Probably the same type you are carrying in your clutch-purse, Miss Harrington.” He smiled, gave a brief dismissive nod and turning his back on her, he walked away. Mr D Evil smiled at the exchange. ‘You have now entered the eye of the cyclone, mes enfants. Now … do you enjoy … or destroy? The evening ahead took on a new color … and the color was red. ‘Game on.’ He was well pleased. Now that was fun. Sheila Harrington is a complex woman. This little interaction barely touches on that complexity. But I sure hope that you enjoyed it. His team are exhausted, frustrated, and ready to burn out after almost five years and no leads. Finally, a break in the case hands them a suspect! Sheila Harrington appears to have confessed to the horrific murders. Sheila Harrington also looks set to become the wife of The Governor of New York, Damon Henderson; the man strongly favored to become the next President of The United States of America. Eminent forensic psychologist Nigel Cantrell is called in to assist the team. Yet nothing and no one could prepare them for what is to come. In this powerful sequel to Acts Beyond Redemption Nigel Cantrell is back, and he’s out for blood. In a complex dual where oaths taken are forsaken, and promises made are broken beyond repair; he must seek the help of the only people he can trust, people who revere him … and, those that despise him. Cantrell is efficient and deadly, but even he has ghosts in his past, demons that must be exorcised. And nothing is more demonic than the peril he must now face, as a one man’s maniacal thirst for revenge is uncovered. A man so enormously powerful, with a hatred so intense, so extreme, that the possible demise of his own species means nothing to him. He will dispense his revenge as his diseased mind sees fit. My non-fiction books are available as follows. “Empty Chairs” (Standing Tall and Fighting Back) Book 1. “Faint Echoes of Laughter” (Standing Tall and Fighting Back) Book 2. “Still Sassy at Sixty” (Standing Tall and Fighting Back) Book 3. DUE FOR RELEASE OCTOBER 2017. Don’t forget to stop in and check out the other tour stops at https://ravereviewsbynonniejules.wordpress.com/rrbc-2017-springtime-book-blog-block-party/as the party goes on all month long! “Glimpses Across The Barricades” A Poetry collection in progress. “Unspoken” by S.Burke. “Glimpses Across The Barricades” My Poetry in progress. ‘Jamie’s Laughter’ #memoir. I love the approach you use to introduce your books. I have read several. Being a guest at your block party was fun filled and fantastic! The picture of the Opera House brought back fond memories of my vacation there several years ago. Glad to hear that you are recovering and getting back to writing great novels. Glad you’re home and feeling better, Sooz. Australia is on my list of places to see. Nice getting to know a little more about your books. They sound intriguing. Have fun on the tour today! Dear Suzanne, I’m sorry to hear that you’ve not been well, so an extra ‘thank you’ for finding the time and energy to put together your lovely blog! I think Sheila Harrington is going to be a most fascinating character to get to know. I love the way you showed her – I would’ve expected nothing less.Every now and then, I seem to have my TBR LISTin a manageable size and then BOOM! Our next great party with all its resultant goodies has arrived. 😱I wish you all the best for today, as well as a speedy recovery. Love the book intro, very intriguing. Have a great party day and glad you’re feeling better. Pleased to hear you’re feeling better, Suzanne. Sheila Harrington is an intriguing character. Will be adding your books to my TBR. Excellent scene, Soooz! Looks like a series I need to read! Whoa, Soooz. I love the picture of your new location. I hope you’ll be happy there. Your blurb and setting of Acts Beyond Redemption have me drooling to get started (Yes, I bought it, and it is on my Kindle. Next up on the TBR). Here’s hoping you have a fantastic party and wishing you all the best. You have me enticed to read your books. I love the way you wrote this blog piece and I must buy at least one of your books. Wow! What a blog stop indeed. I reblogged your party for you. Hoping you’re feeling much better. The pics were lovely, and the excerpts so intriguing. I love the ball scene. Good stuff. I’m sorry to hear you’ve been unwell. I hope you are feeling much better now? I loved your blog post and it was thrilling to get to know some of your characters. I can’t wait to read more! You are such a supportive member of RRBC, I hope that everyone joins your blog to find out more about your writing. Have a fantastic party today. Suzanne, I didn’t know you were ill. Praying that your recovery is speedy. You have an intriguing blog and your characters come alive with interest. That’s because you write as if your mind is always in overdrive. Good luck on your tour. I’ve had health issues which could have become long-term were it not for the fact that I’m a fighter too. I decided to write about it which you are probably familiar with. I wanted to share what I found and tell my story in the hopes that it could help someone else. I can’t wait to be able to just sit and read book two. I’m falling behind on so many things lately. I know once I start I won’t be able to put it down. You’re such a gifted! I hope many readers treat themselves to this series. A highly recommended, 5 star read! Woo hoo! Everyone knows that Aussies throw the best parties Loved reading about you and your books – and that black dress? Spectacular! Get well soon! Fancy meeting you again, Suzanne. I replied to your reply on my site only minutes ago. Because of your note moments ago, you’re my first stop for today and what a wonderful stop it is. I like reading about strong female characters. I read Yvette’s comment about Sheila H. maybe being a vampire. Of course you’re not going to verify that. I’ve got to read the book, right? Another book on my TBR list! I’m getting strong feelings about your sassy style of writing and maybe a vampire story might be too tame for Sheila’s character. Happy to see you’re back home and recovering. The rural setting has to help with that. Thank you for a wonderful post from an energetic supporter of club members, me included. Get well and thank you for a great start to my day. Your books sound exciting. I love the almost six foot tall Sheila. It was a hoot! Thanks, Annette. Well, Soooz, your female characters are not only strong-willed but deadly! I remember Sam of “Ranch Hand Wanted.” A no-nonsense girl! 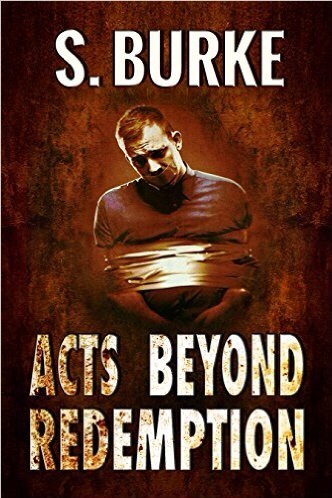 I look forward to reading “Act Beyond Redemption,” which is on my Kindle. 🙂 Enjoy your party. Hi. Truly enjoyed your party. And Sheila – you go girl. 🙂 What a great way to introduce your books. Love the picture of the kangaroo. – Go get em. Great party. Thank you. Hi, Lynn! I’m waving frantically from Down Under! I loved the review, thank you so very much. I’m delighted you enjoyed the book. The scene here is an imaginary one, and I had great fun creating it. Sheila is an evil little minx. I’m feeling a tad weary now, but you can’t keep a bad woman down for long … lol.😊 I’m so glad you stopped by. Sooz…I cannot help but love your style. Was looking forward to your blog stop, always grabs my attention. Hello my friend! Sorry to read of you not feeling well! Couldn’t tell it from the magnificent post! Love the pics of your hometowns, the gorgeous Sheila Harrington, and the “stunning” party location! I’d like to see what you do when you’re feeling 100%. You website is awesome too! Enjoy your party today! Sheila sounds like someone fun to get to know. Great post! Hi Sooz, great blog. I just love the beauty of Australia. Loved the excerpt too. You know I have Acts of Redemption, creeping up my TBR read list–getting closer and I can’t wait.Have a wonderful day on your side of the world. What a wonderfully creative blog. I love your talent. I have read three of your books and loved them all. Your new location in New South Wales looks beautiful. Hope you are having a wonderful day. Nice! Thank you for sharing Suzanne! Hope you had a great RRBC blog party! Sorry to hear you are ill. Many wishes for a speedy recovery. I read Acts of Redemption. Have to read the second installment. Sheila Harrington is deliciously evil. Love the photos and the descriptions as to how they relate to the book. Good job on all of this. Hope you’re enjoying the blog tour. Oh–Annie collie is my Internet handle. I’m Patricia A. Guthrie in the real world, patguth or @paguthrie1 for Twitter. I had a great time. Great blurbs. Loved the introduction to your books. I have “Acts Beyond Redemption” on my TBR. My ever growing TBR. Hugs and best wishes on a speedy recovery. Sorry, my fat little fingers hit the send button. Anyhow, I loved your post, and loved getting a visual of Sheila. I hope you had a fantastic tour day. Hello, Soooz! Great blog site you have. Fantastic way to introduce your books. Wishing you only the best! Better late than never, Suzanne. I really enjoyed reading your blog, a very intriguing way to introduce us to your amazing writing. Thanks for sharing! Sorry I’m late – I was away. Hope you are feeling better. I would like to highly recommend your books to other readers. Australia is definitely one of my dream locations. Thanks for the lovely and entertaining post! I love the kangaroo! Nice touch!